Online ordering system built just for your restaurant. Stop overpaying for your online orders. with your menu and logo. Customers then browse your menu and place their orders on your app, website or Facebook Page. 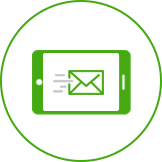 Boost sales and orders across platforms without the third-party commissions. We’ll upload and customize your online menu for you. Start accepting orders in 48 hours or less! With other portals, you pay more as you sell more. Our low flat rate saves you money with every sale. Receive direct payment for all online orders right to your bank account. Your brand and logo take center stage on iPhone and Android apps built just for you. Meet your customers where they are with Facebook integration. Customers can plan ahead and place orders in advance. Adjust prices, alter selections, and update seasonal menus in a flash. 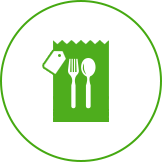 Offer coupons, deals, and promotions to attract foodies and boost sales. Our team is ready and waiting to answer your questions 24 hours a day. Foodie Order Marketing Agency will help you create a custom marketing strategy to promote your online and mobile ordering. 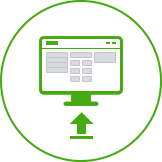 Get vital sales info: busiest order times, average ticket size, and order frequency. Foodie Order helps your restaurant work more efficiently so you can focus on your food, service and, ultimately, your customers. In fact, Foodie Order was created by your customers. That’s right. Our team of foodies — developers, designers and strategists — loves to order food from restaurants just like yours. But we quickly became frustrated by a broken process – searching for contact information, waiting for someone to answer the phone, being put on hold, trying to wade through menu options, or dealing with communication issues due to language barriers. Just think of the amount of time your team has wasted trying to handle take out and delivery orders, especially during a busy shift, and how your restaurant has paid the price: your team is stressed, your customers are unhappy, and your profits take a hit. Truth be told, it only takes one unpleasant experience to lose a customer. He or she will simply order elsewhere next time, regardless of location and food quality. We knew there had to be a better way and were determined to find it. We did! 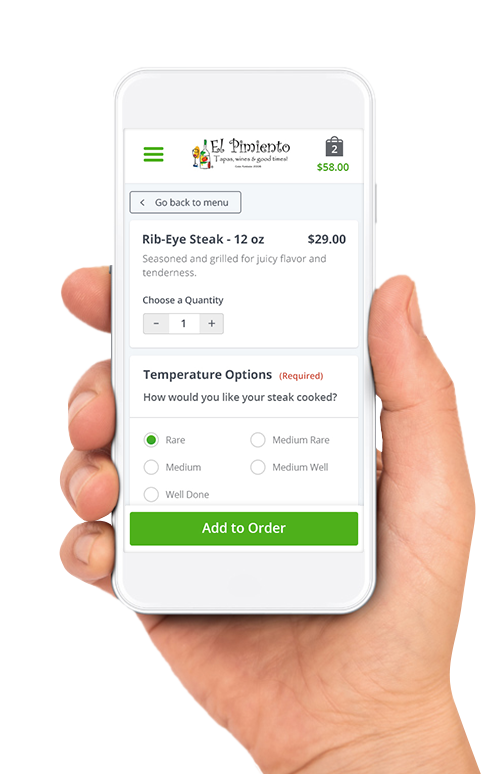 Now you can offer your customers an easy and intuitive way to place take out and delivery orders via your website, Facebook page, and fully customized iPhone and Android apps. After all, 80% of customers use their mobile devices to order food. Foodie Order makes the process pleasurable and completely painless for owners and customers alike. Unlike third-party platforms, Foodie Order won’t simply list your restaurant alongside nearby competitors. You’ll stand out with your own app, and stay in control of your brand and customer data. Not only that, Foodie Order doesn’t force exclusives or charge commissions, so the more orders you receive, the more money you keep. Customers enjoy the best user experience available today. 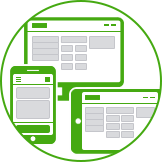 A clean, simple interface makes ordering fast and fun – anywhere, anytime, and from any device. You’ll receive their orders instantly via web dashboard, the Foodie Order tablet, Fax, or directly to your printer. We’ll have you up and running in less than a week, and offer marketing support and personalized customer service 24 hours a day. Foodie Order began in the robust, international market of Miami, and its success has brought the service to restaurant owners nationwide. What is 7+3= This is required. After you submit this form, a member of the Foodie Order team will get in touch with you.